Overview: In the wake of the Second World War, internationalists identified science as both the cause of and the solution to world crisis. Unless civilization learned to control the unprecedented powers science had unleashed, global catastrophe was imminent. But the internationalists found hope in the idea of world government. In The Postwar Origins of the Global Environment, Perrin Selcer argues that the metaphor of “Spaceship Earth”―the idea of the planet as a single interconnected system―exemplifies this moment, when a mix of anxiety and hope inspired visions of world community and the proliferation of international institutions. Selcer tells the story of how the United Nations built the international knowledge infrastructure that made the global-scale environment visible. Experts affiliated with UN agencies helped make the “global”―as in global population, global climate, and global economy―an object in need of governance. Selcer traces how UN programs such as UNESCO’s Arid Lands Project, the production of a soil map of the world, and plans for a global environmental-monitoring system fell short of utopian ambitions to cultivate world citizens but did produce an international community of experts with influential connections to national governments. He shows how events and personalities, cultures and ecologies, bureaucracies and ideologies, decolonization and the Cold War interacted to make global knowledge. A major contribution to global history, environmental history, and the history of development, this book relocates the origins of planetary environmentalism in the postwar politics of scale. 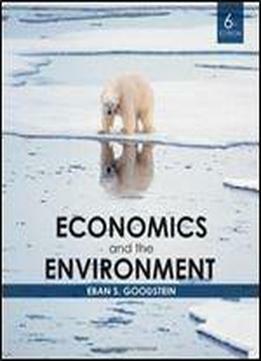 Overview: Is it possible for the economy to grow without the environment being destroyed? Will our lifestyles impoverish the planet of our children and grandchildren? Is the world sick? Can it be healed? Less than a lifetime ago, these questions would have made no sense. This was not because our ancestors had no impact on nature-nor because they were unaware of the serious damage they had done. What people lacked was an idea: a way of imagining the web of interconnection and consequence of which the natural world is made. Without this notion, we didn’t have a way to describe the scale and scope of human impact upon nature. This idea was "the environment."